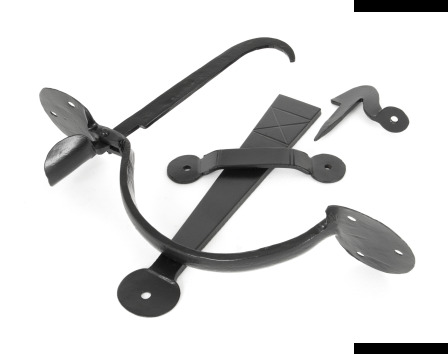 These latches are one of the most evocative period pieces available to you if you are creating an authentic feel and atmosphere with your restoration project. This product has bigger proportions than the medium bean thumblatch and is designed for use on larger type doors. The thumb piece passes through the door and raises the latch bar off the keep. To restrict the latch bar movement a staple pin and a screw-on staple pin are provided (discard unused pin or find another use around the home). Thumb bar size allows for use on doors with a maximum thickness of 55mm. Sold as a set and supplied with necessary fixing screws.